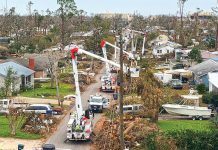 As category 4 Hurricane Michael bears down on the Panama City area, Gulf Power is looking at the possibility that its system may have to be rebuilt in the hardest hit areas. Michael is an unprecedented storm forecast to make landfall with sustained winds of 145 mph. 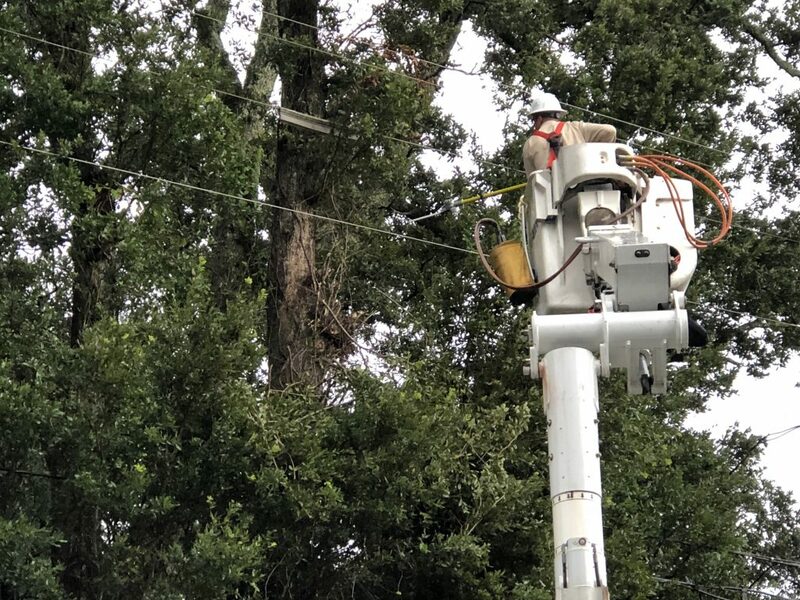 Crews restored power outages in Pensacola as Hurricane Michael’s winds roared across Northwest Florida. Because of high winds, crews may have to temporarily stand down for safety. More than 2,600 outside resources have been secured from at least 15 different states, as far north as Michigan and as far west as Oklahoma and Texas. 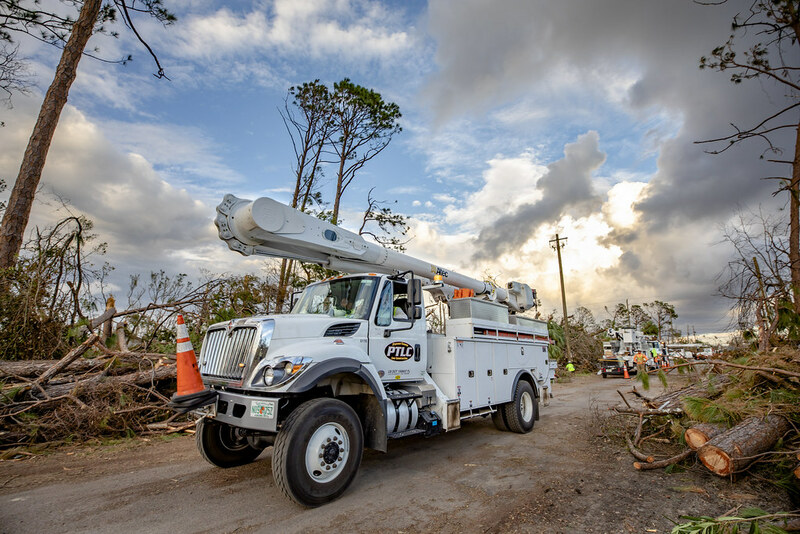 Including Gulf Power’s 1,187 employees and 330 onsite contractors, that’s more than 4,100 resources ready to restore power. 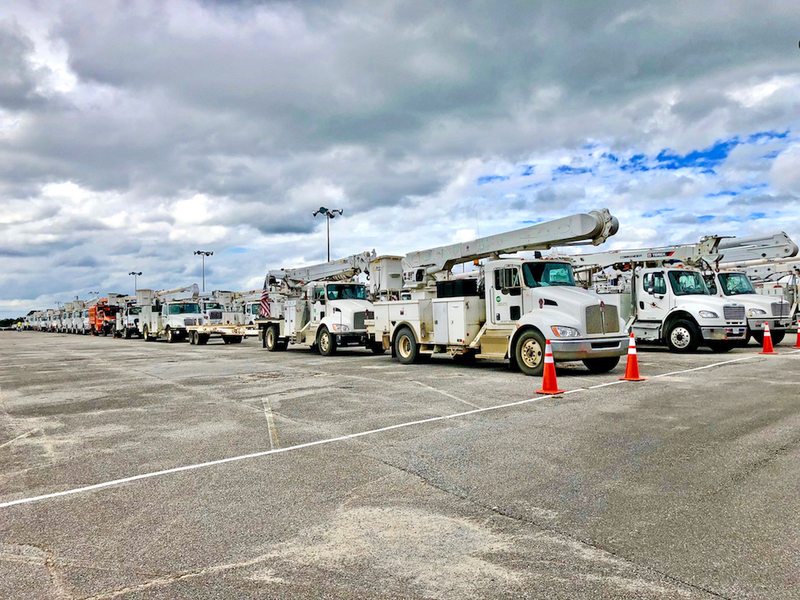 Outside crews began staging at the Pensacola Interstate Fair grounds on Tuesday to be at the ready to help restore power across the region. Gulf Power will continue to update its customers with timely information through its Gulf Power app, website, outage map, news media and social media. To get the latest updates on outages, customers can download Gulf Power’s app and access the outage map for the latest restoration information. The app is free and available for iPhone and Android. Just search for “Gulf Power” in iTunes or the Google Play Store. 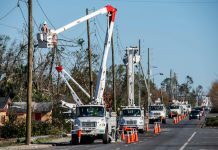 Visit MyGulfPower.com and click on the outage map for restoration updates. Sign up for free PowerOut alerts through your cell phone by texting REG to MyGulf (694853). Or, visit the Preference Center in the My Account area of MyGulfPower.com to choose whether to receive texts alerts, emails or phone calls with outage updates. Gulf Power knows when your power is out. However, you can call 1-800-487-6937 if you have any questions about your outage. Treat any downed wire as if it is energized because you can’t tell by looking if a downed wire is live or not. Telephone or cable television wires that are touching a power line could become energized and should also be avoided. Call 911 to report the location of any downed lines. Standing water (puddles from flooding) may be energized from a downed line. Be careful not to touch or step in water near where a downed power line is located. If a downed line is near water — even a small puddle — keep well away. Don’t attempt to repair the electrical system or pull tree limbs off lines. Let our trained work crews perform this potentially dangerous work. Stay clear of areas where there is a lot of debris or downed trees because it could conceal an energized power line. Also stay clear of chain link fences which may be energized if touching a downed line. If you have an electric generator, please ensure that you have isolated your home or business from the utility electrical service lines by opening main breakers or other devices. 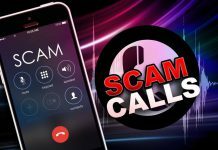 Do not connect portable generators to your household electrical wiring. This can cause serious injury to you and to our employees working on the lines in your neighborhood. 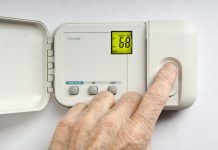 Connect only essential appliances – such as freezers and refrigerators — directly to the generator. If your power is off, turn off large appliances and air conditioners and wait 10 to 15 minutes after power has been restored before turning them back on. If there is damage to your meter box or the pole on top of your meter box, you must first have an electrician make repairs before we can restore your service. If there is flooding in your home or business, we may be unable to restore electric service until the building is inspected by city or county code officials. Stay away from areas where our crews are working. If driving, follow road signs, drive cautiously and follow directions in the area of a work crew. Please be patient. Our crews will work as fast as safety allows. 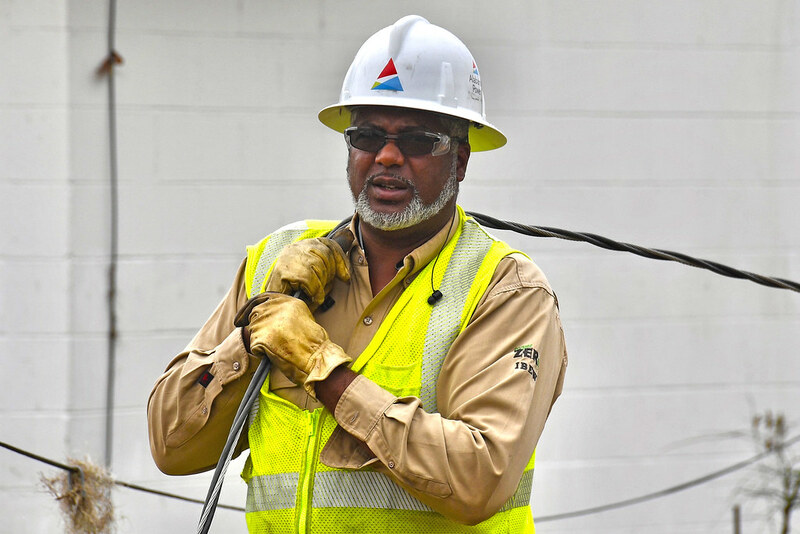 Before neighborhood lines can be worked on, our crews must first repair larger lines that bring power to neighborhoods. See more preparation and safety tips here. Customers can get more detailed storm preparation information on the Gulf Power Storm Ready Center webpage.